Craving for Chinese food? Skip the takeout and make these Pressure Cooker Chinese Recipes & Instant Pot Chinese Recipes at home! Bookmark these 25+ Instant Pot Chinese Recipes & Pressure Cooker Chinese Recipes! *You can click on the link to jump to a particular section. Super easy classic complete meal with a rich chicken soup & 2 sauces done in under an hour! 4-ingredients, 5-mins prep. 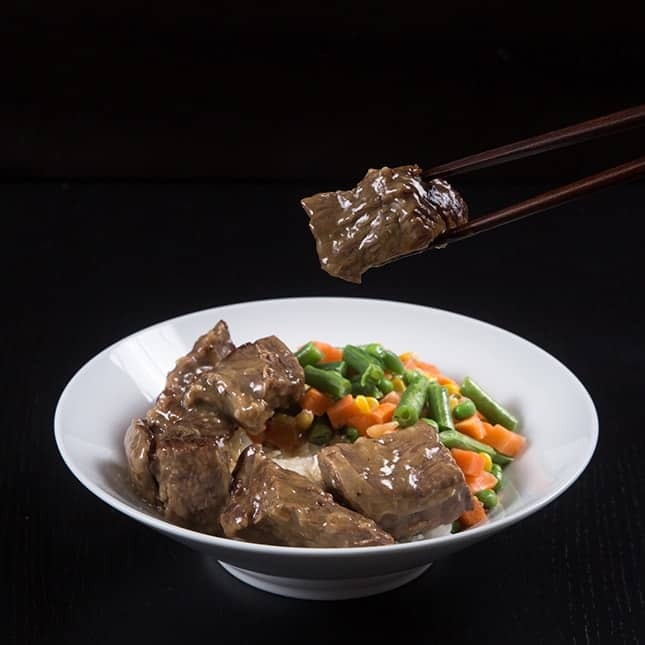 One of our lazy go-to Pressure Cooker Chinese Recipes! Done in 30 mins: tender & moist pork chops drizzled with my favorite comforting umami sauce. 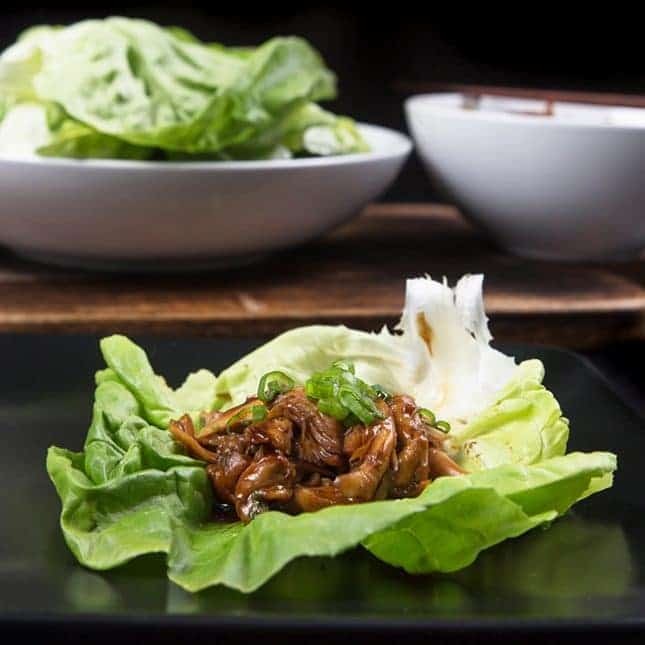 Low carb lettuce wrap inspired by the legendary General Tso’s Chicken! Addictive sweet & sour sauce with a tad spicy kick. 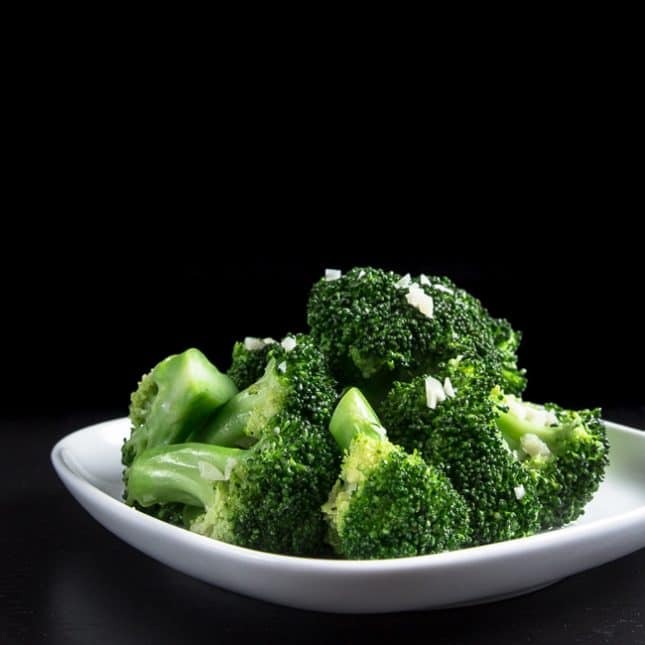 You can also pair it with rice, noodles, or your favorite side dishes. Easy, fast one pot meal for busy weeknights: tender chicken, juicy mushrooms & fragrant rice. Dump & Go . Kid Friendly . Soy Sauce Chicken & Rice (made in the same pot)! Made with simple ingredients. 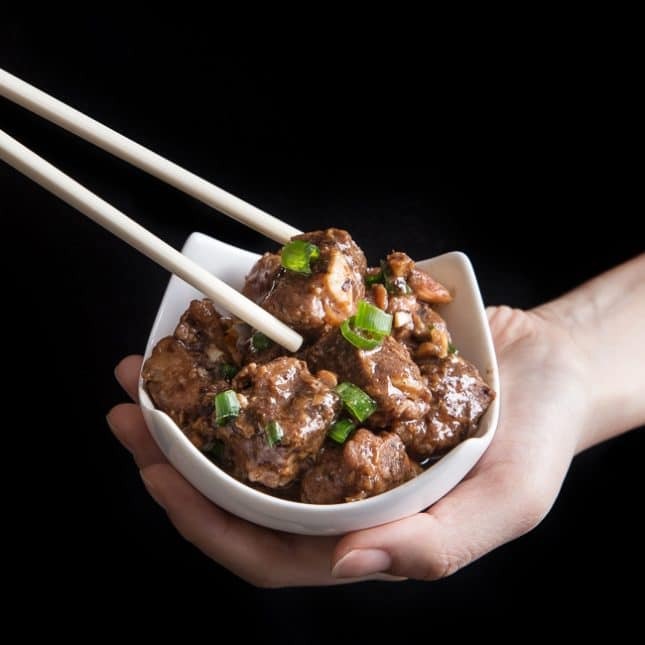 Get a taste of Hong Kong with this Cha Chaan Teng inspired – Easy HK Garlic Beef Rice Bowl. ? 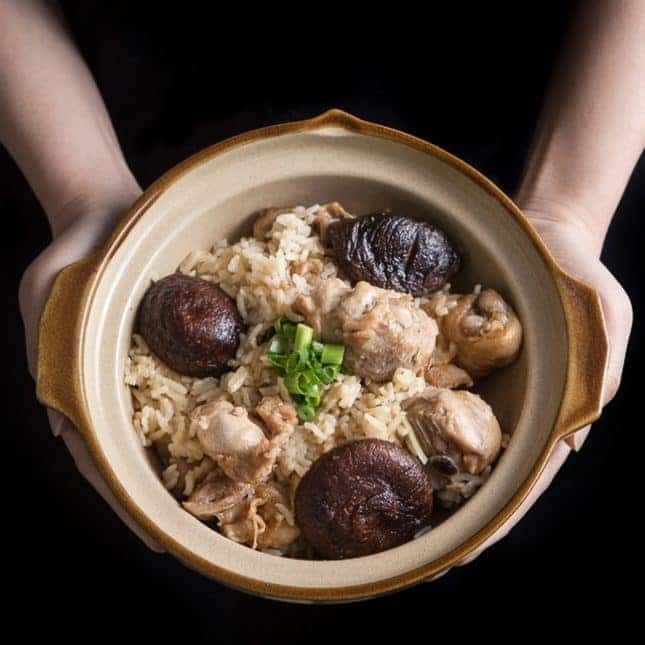 See Pot-In-Pot (PIP) in action with this Macanese classic favorite. 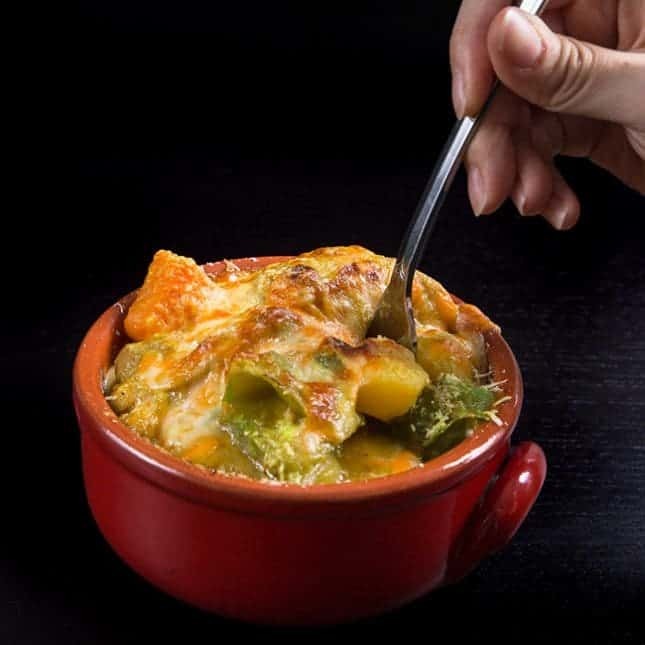 Aromatic coconut turmeric sauce topped with creamy melted cheese. 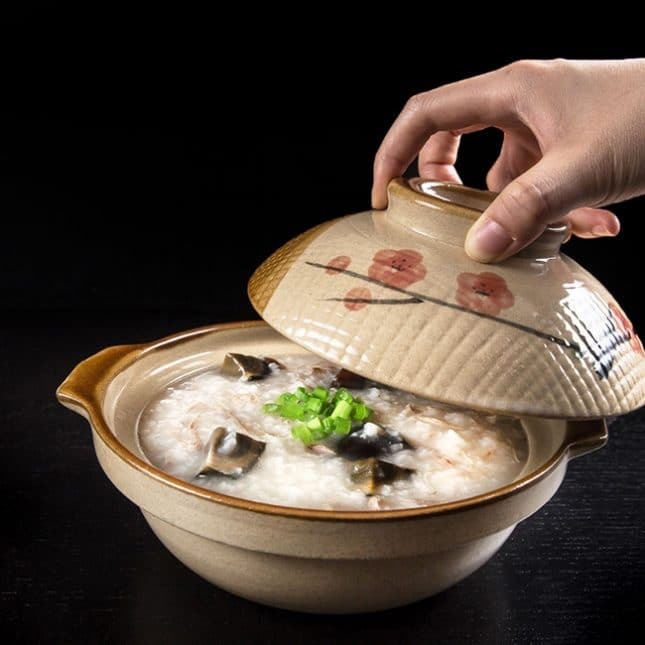 Finally developed this pressure cooker congee recipe just the way Jacky remembers it from his favorite hawker! Mommy! This is so yummy! Can you teach me? So moist & tender! Sweet & savory flavors with slight melty texture. Your taste buds will scream for more! Comforting, yummy, umami. 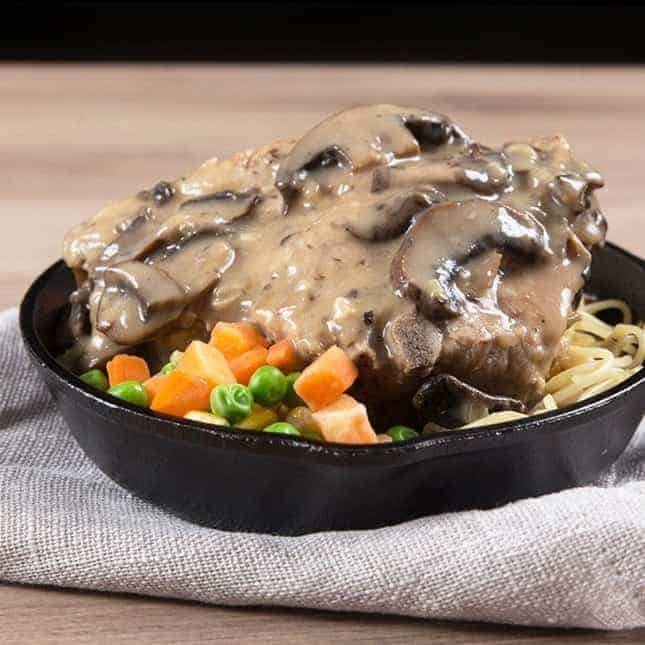 Tender & moist Pork Chops drizzled with the beloved classic homemade HK Mushroom Gravy. Classic favorite! 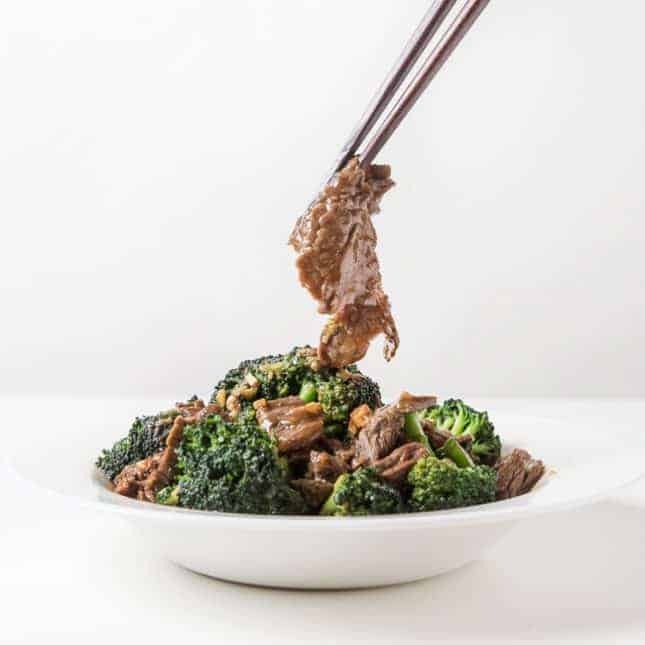 Deliciously tender beef & crunchy broccoli soaked in bold garlicky ginger sauce. Dim Sum Time! Deliciously satisfying mouthfeel. Great make ahead freezer meals! 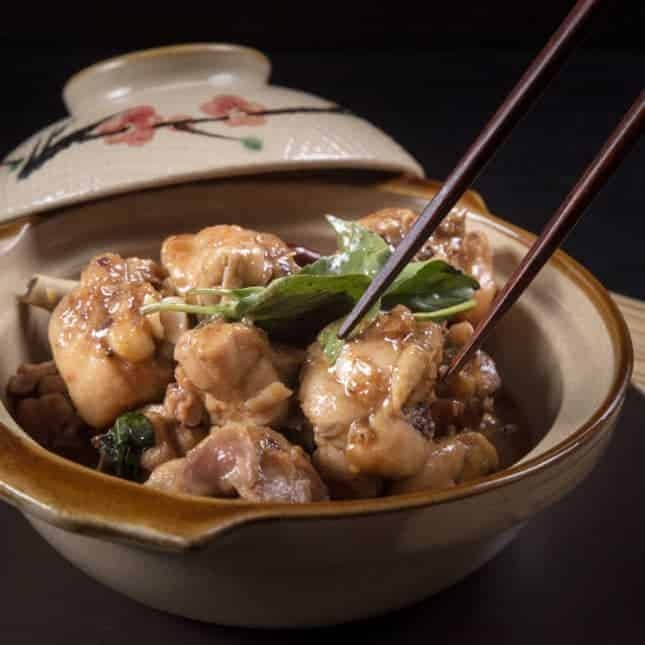 Have a taste of Taiwan with this Classic Signature Taiwanese Comfort Food. Tender chicken soaked in fragrant, savory-spiced & slightly sweet secret sauce. 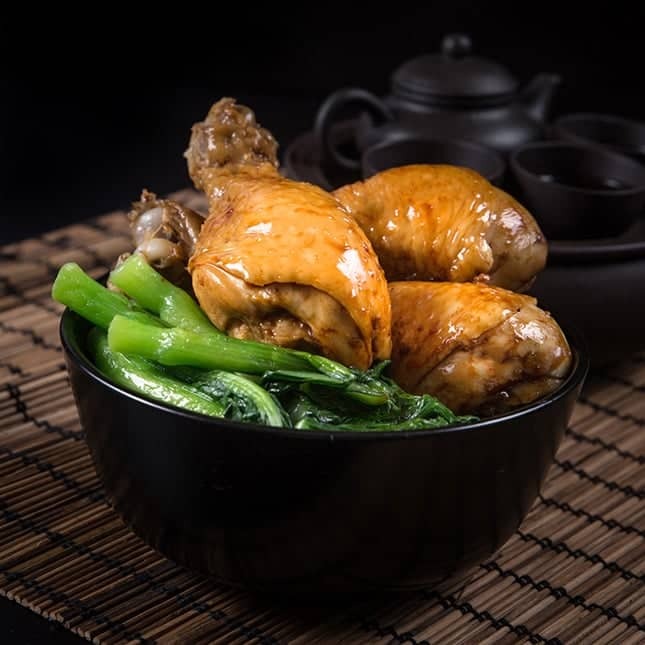 Super tender pressure cooker chicken recipe inspired by the well-loved traditional Hakka Salt Baked Chicken. 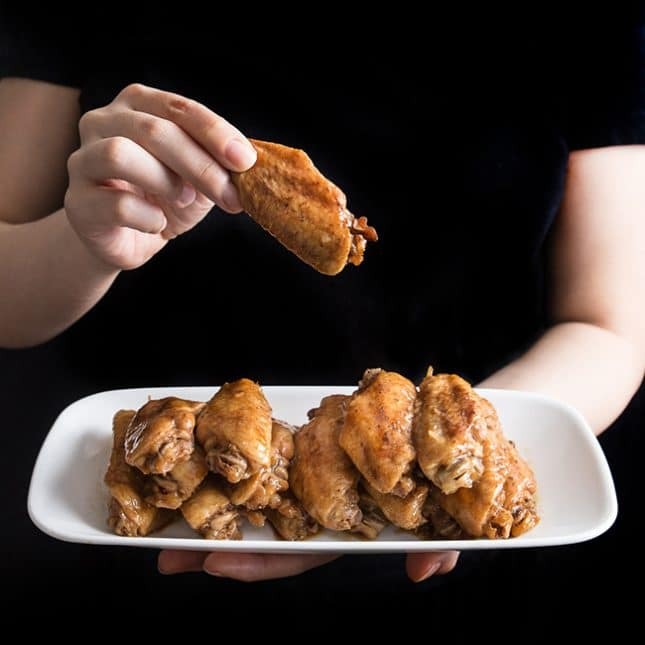 Make big batch of chicken wings for parties, picnics, or BBQ. Done in less than an hour (include marinating). Super easy 5-mins prep to make this moist & tender pressure cooker spare ribs. 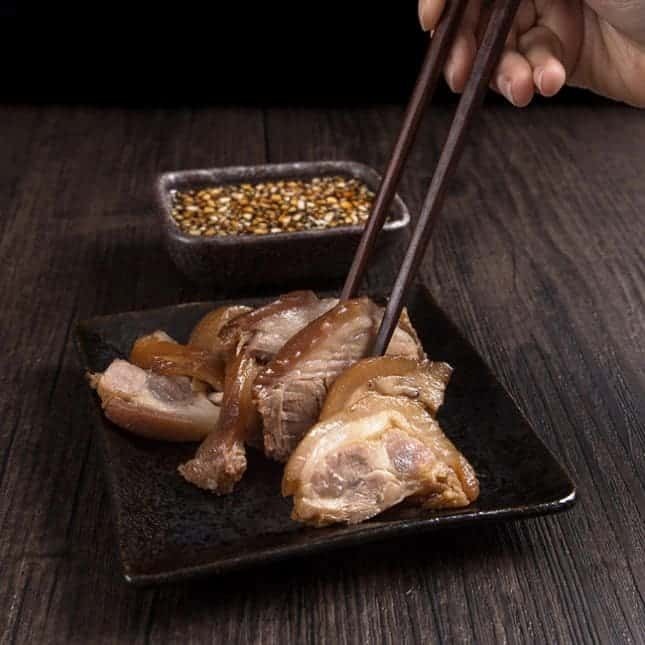 Get a taste of Taiwan! 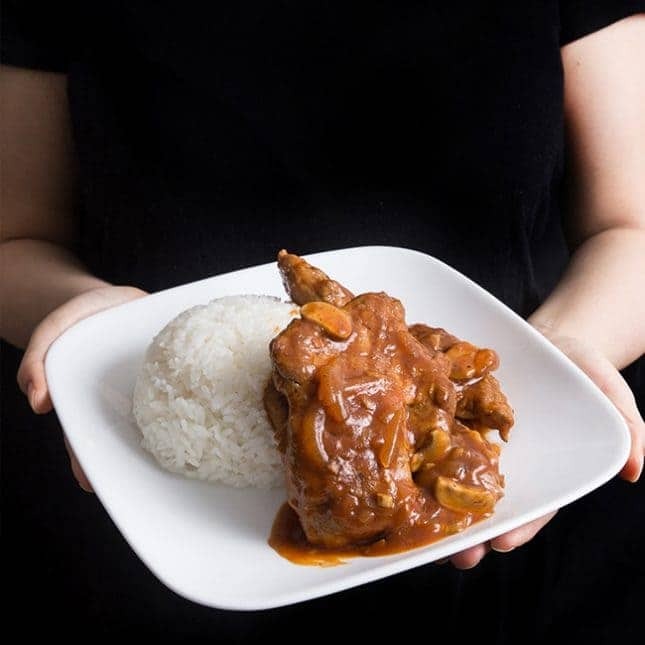 Classic bouncy & crisp Pork Hock dipped into addictive homemade secret sauce. Classic flavorful chilled appetizer. Perfect for potlucks, parties, dinner gatherings, dinner. Super easy classic pressure cooker chicken wings done in 25 mins (no need to marinate). Super easy 5-ingredient, silky smooth eggs that literally melt in your mouth. According to Chinese medicine, this soup can clear away internal “heat”, improve digestive system, & “clear” throat & cough. Did you know that you can cook for “0 minute” in your Instant Pot Pressure Cooker? 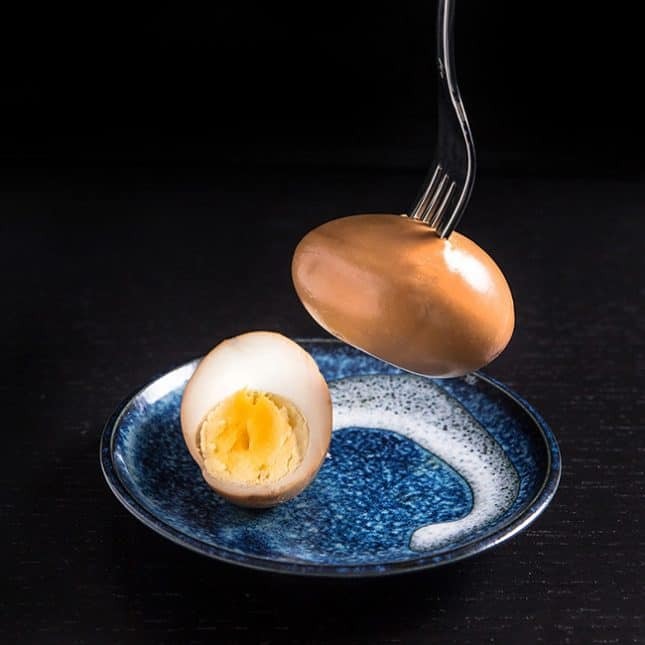 Smooth egg whites infused with homemade Chinese Master Stock. Super easy & quick to make this sweet & delicious soup that tastes like mom’s. If you have Eggs, Milk, Salt, Sugar & 20 mins, you can make this! 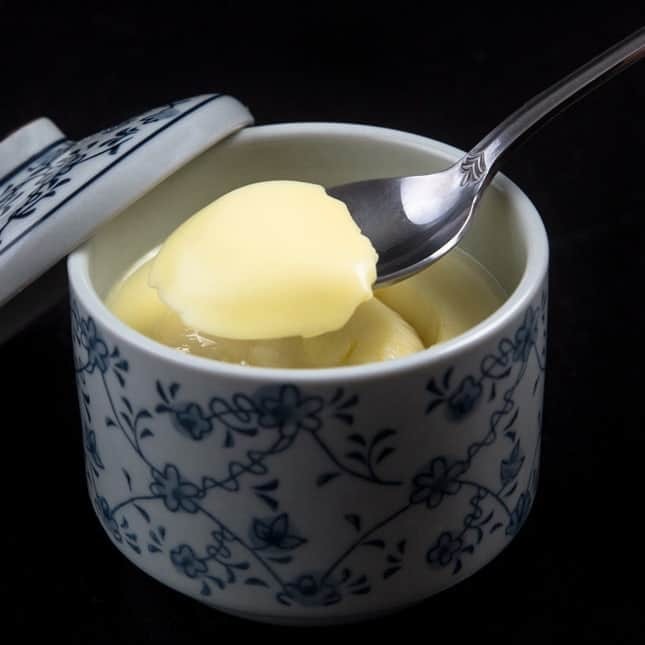 4 Easy Steps & Tips to make Ultra Smooth melt-in-your-mouth HK Egg Custard. 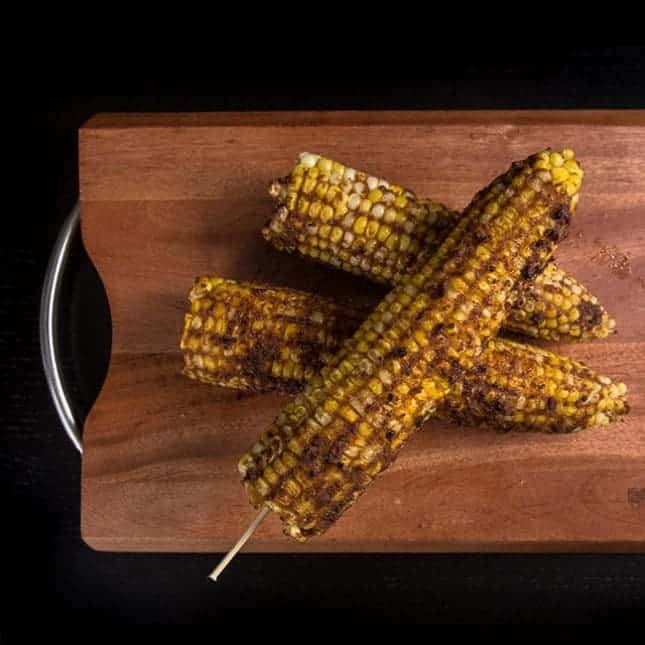 Make these juicy Corn on the Cob brushed with sweet & savory secret sauce, with a spicy kick. 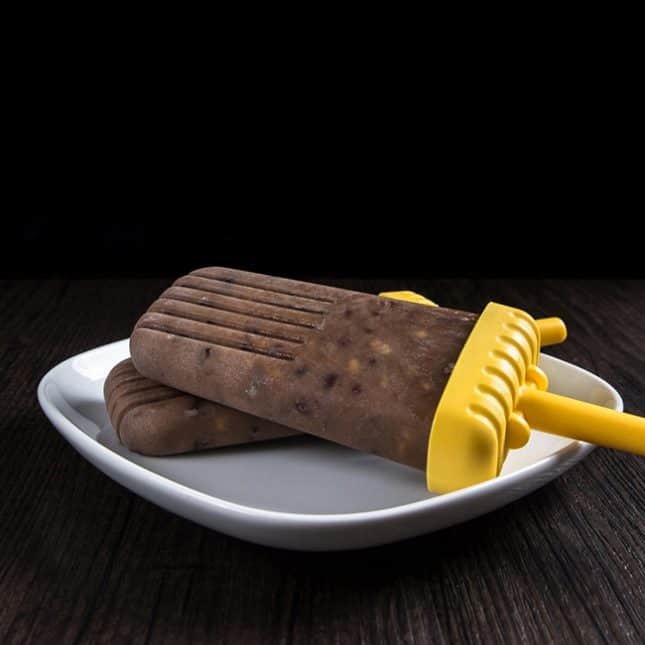 Must-have with Hot Pot! 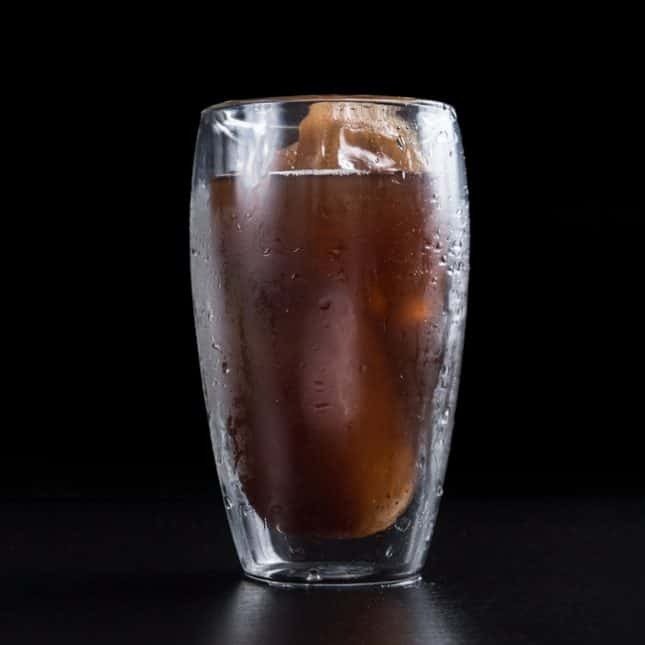 Healthy natural drink that soothes throat, quenches thirst & relieves heat. 5 ingredients + no pre-soaking to make these flavorful popsicles packed with sweet & nutty beans. Savory & fragrant stock full of pungent Chinese spices, commonly used for poaching or braising meat. 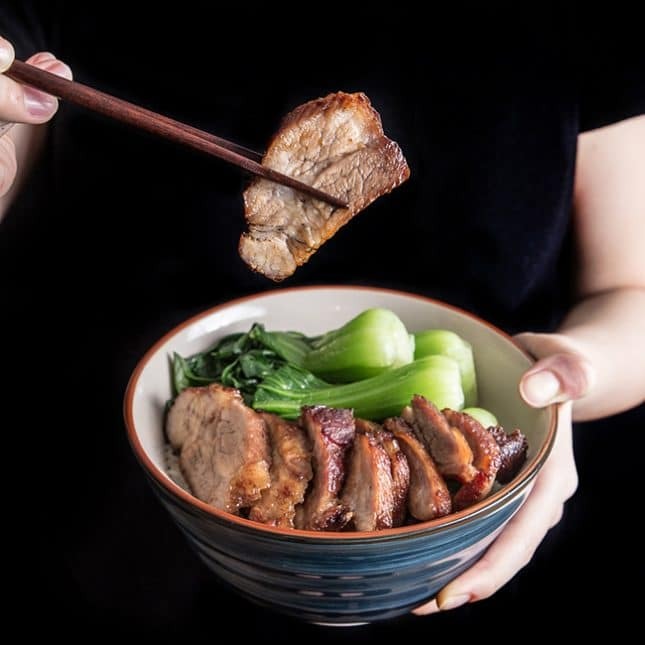 Have fun making these Instant Pot Pressure Cooker Chinese Recipes! Thank you for sharing these recipes! These dishes look amazing! I am thinking about investing in an instant pot. 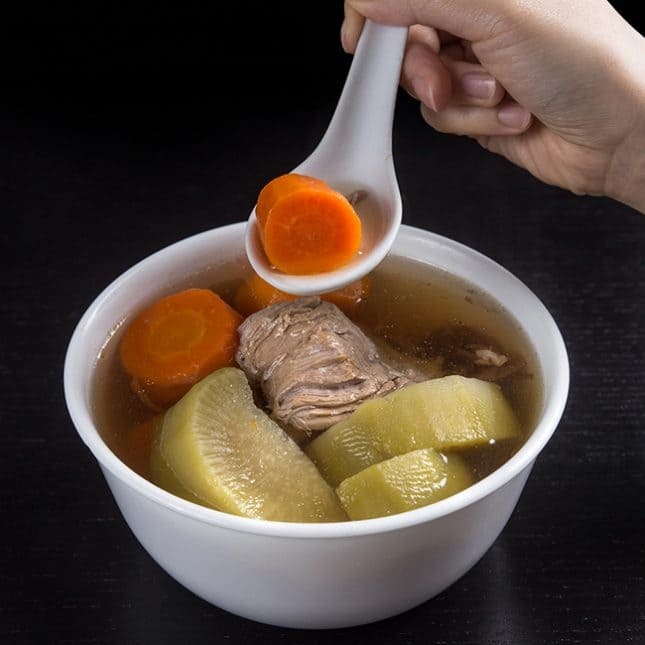 I am from Hong Kong originally and I do miss mommy’s homemade soup. I was wondering if the soup from instant pot taste the same as the one you made from the Chinese clay pot? Thank you! You will want to use the saute high mode to boil the soup for 15 – 30 minutes to get the thickness from stovetop. Does the recipes work for the 3 quart, mini instant pot? How to adjust settings? I’m looking at particular the chicken and rice recipe. I came across your page while debating whether or not I should buy an instant pot. Your recipes look amazing and I can’t wait to get my hands on one and start cooking. 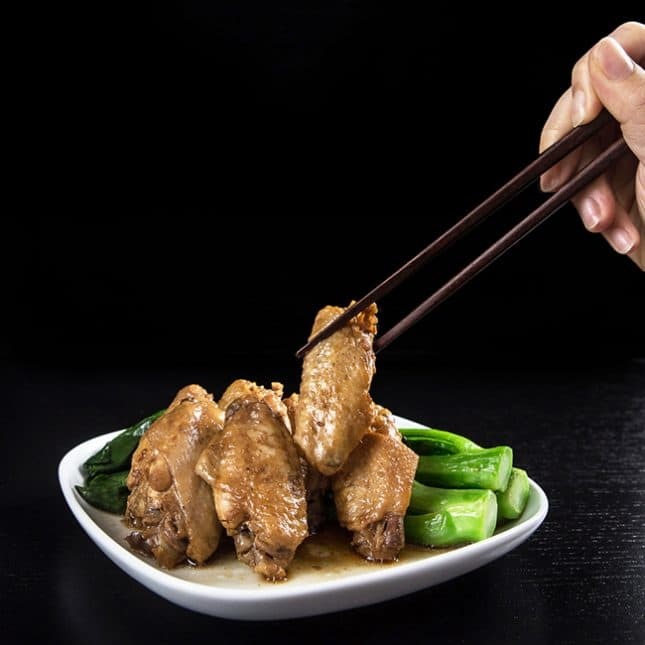 Do you update your Chinese recipes often ? We aim to add at least one Chinese recipe every week or other week. This is awesome. Thanks for the Chinese recipes. 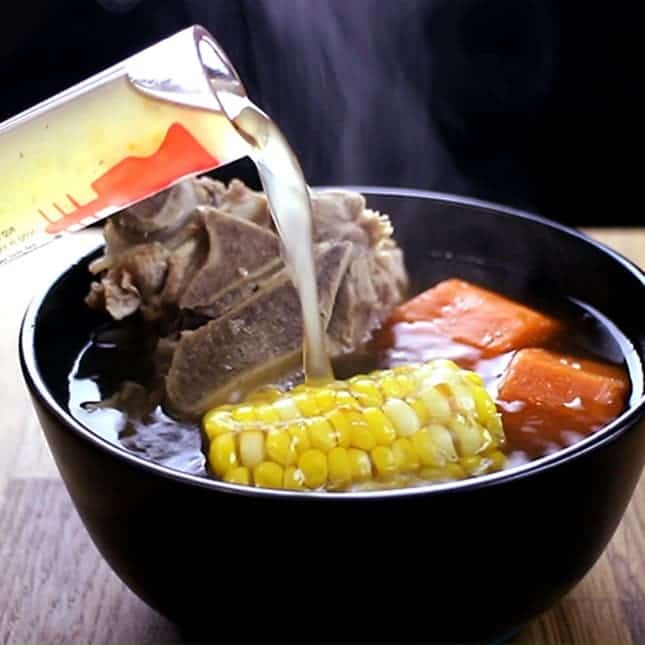 Might be able to make when I’m feeling homesick. I’m Chinese originally from Malaysia. I miss Hainan chicken rice, char siew and many more. Yummy. Makes my mouth water just thinking about it and watching your video. 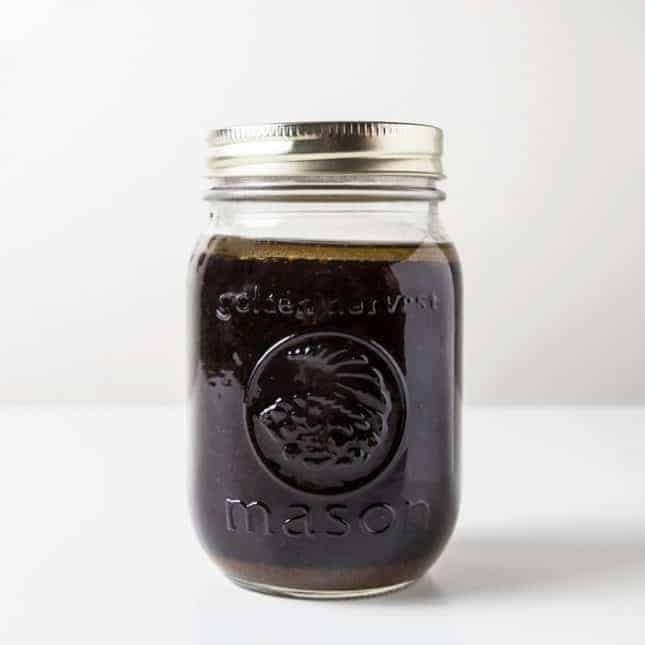 What brand of light soy sauce do you use? We use this brand called Lee Kum Kee. 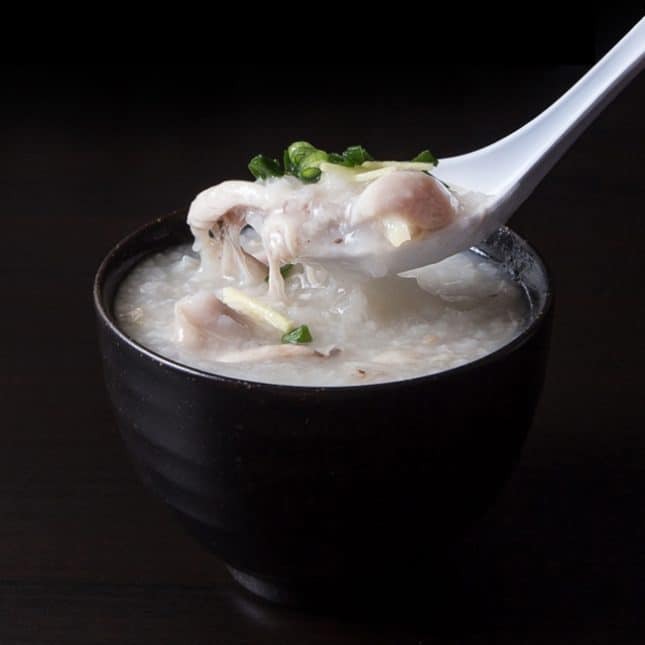 Love your recipes, and I just made the chicken congee over the weekend. Yes, it was very easy & so fast; the congee turned out great! Thanks! I am wondering if you have a recipe for hot & sour soup? Would love to try to make that at home. 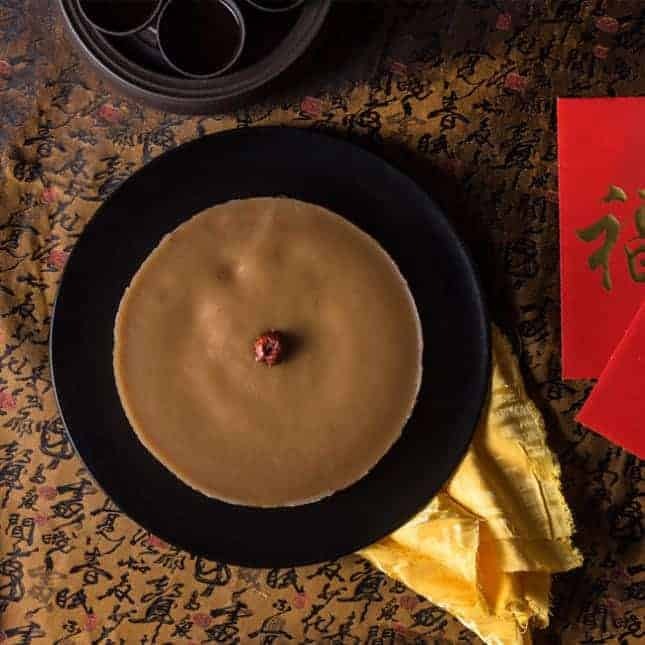 Hi do you have your recipes translated into mandarin? We don’t have it translated into Mandarin. You can translate it with google translate. 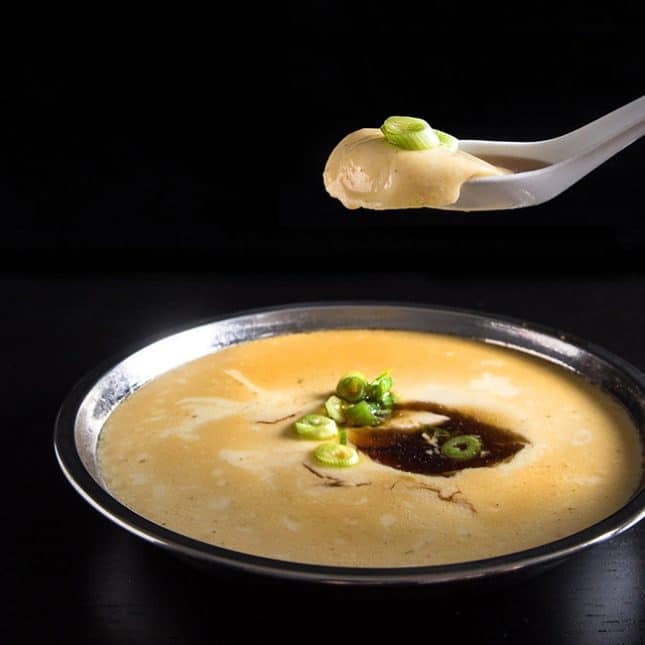 Hi Amy + Jacky, some of the recipes are my favorite, such as the Chinese Steamed Eggs. I love the way you cook, I would like to try to cook the recipes using the pressure cooker. Thank you so much for all the tested recipes. This is very useful and I can’t wait to try them. 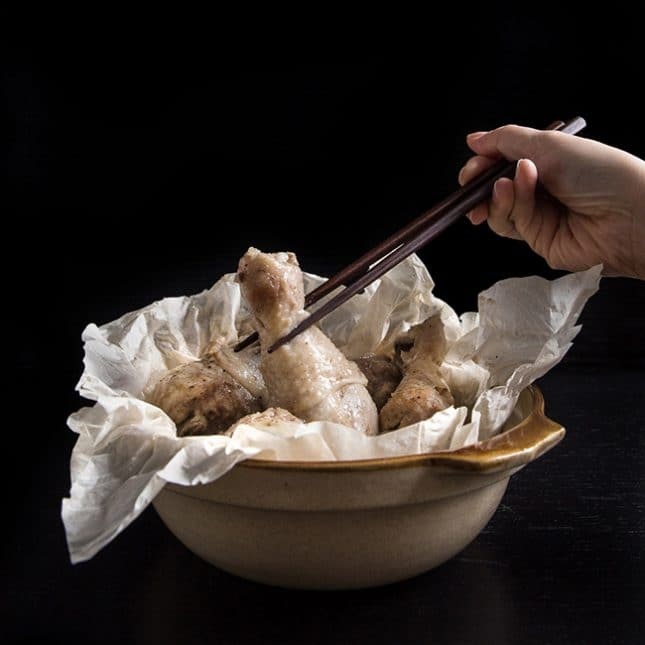 I’m so looking forward to learn more HK style cooking with Instant Pot, maybe recipes for 蘿蔔牛腩, 豉油雞 (whole chicken), 紅豆沙 more savory dishes and more 糖水. You guys are awesome! Keep it up!! Happy New Year! Do you have recipe to make Oxtail stew or Been Nom stew? Happy New Year to you!!! We have Oxtail stew on our ever-growing to-make list. Same as the above commenter, I’m looking for dim sum. Steamed dumplings and the like. I don’t have a basket steamer and wondering if I can use the IP instead. We are thinking of developing those recipes in the future. Please stay tuned! 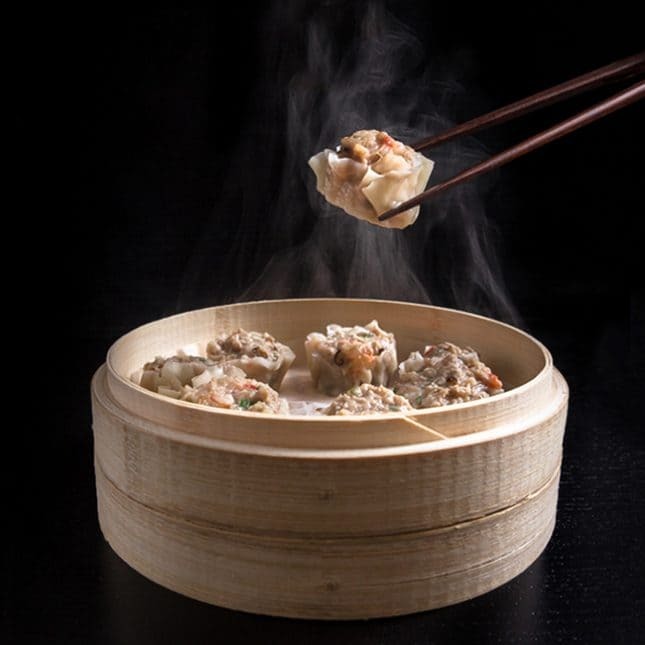 In your Chinese/Asian section of recipes, I was hoping to find recipes for the variety of dim sum steamed dumplings tested in IP by steaming function. Some made with rice flour, filled with meat/veg filling (made from scratch), some using store bought wrappers and some for pork bbq buns (using all purpose flour and yeast). Even though one can find recipes on the Internet it is techniques we need for using IP to make them. Thanks. I will discuss this with Amy! 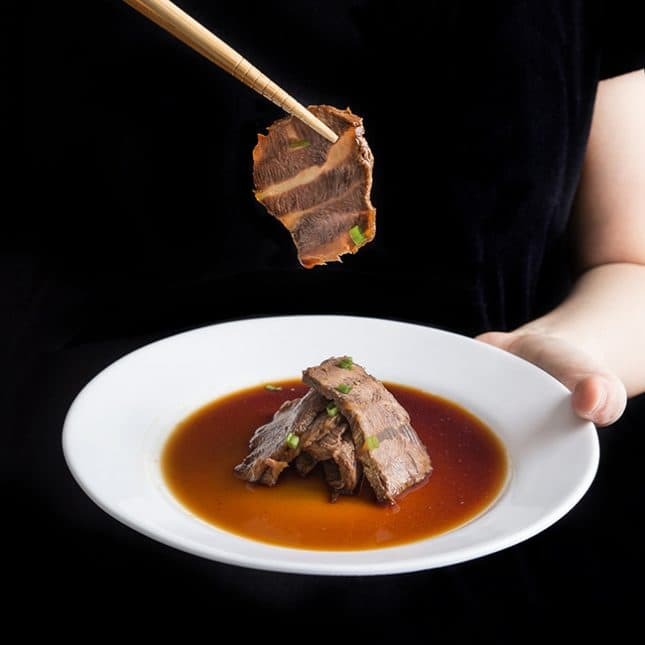 Do you have a recipe for braised beef, as in the braised beef used in noodle soup? Amazing recipes!! Happy I can make my Chinese family something they will like in the Instant Pot! Not yet! We have added it to our to-do list. Please stay tuned! Anxious to try some of these recipes. Looking forward to the newsletter.